Birthplace: A rural farming town in the Fire Nation Capital. Tarek is an easy going person. He has no vendetta against anyone and doesn't like to take sides. He appreciates wisdom in any form, and loves to travel to forgotten places to discover secrets and gain a better understanding of the world around him. He also thoroughly enjoys humor in any form and is seldom seen sad or upset. He does, however, tend to become angry when anyone throws things out of balance, exploits power for personal gain, desecrates a sacred place or misuses knowledge (although these things seldom disturb him enough for him to take action). He also pushes himself very hard and trains almost continually. Tarek loves finding ancient artifacts or ruins, especially tomes containing the wisdom and techniques of the ancients. He frequently journeys to strange locations in the pursuit of these treasures. When he is not out exploring, Tarek often meditates or practices his firebending and spearfighting techniques. He fancies himself a master cook, but few can stomach his strange flavor combinations. He loves the collecting and telling of stories from around the world, and has been known to babble on about totally irrelevant matters at the worst of times. Tarek is naturally very curious and will often go out of his way to meet new or interesting people. His also curiosity often pushes him to do things that others might think are dangerous or crazy. He is very trusting of strangers, though not stupid or gullible, and is very friendly and outgoing. He is also very loyal to friends, and is very family orientated. Professionally, he has a very strong sense of duty and honor, he is very disciplined and is not lazy to work hard. He hates formalities (especially if they slow him down) and prefers a hands-on approach to his work. He is also a very analytical thinker, and tries to solve problems logically. Tarek’s strong sense of duty and honor and high levels of spirituality have served him well as the Fire Lord, and despite his position, he still goes out of his way to help and counsel people who need him. Tarek grew up in the fire nation where he was trained the basics of fire-bending in school. However his teachers always stated that he didn't have the right personality to be a firebender and that his skills wouldn't advance far beyond the few basic techniques that he learnt. When he was about 12 years old Tarek discovered a style of firebending that wasn't fueled by rage or sheer determination. A firebending scroll he saw at a gypsy market, showed firebending movements he hadn't seen before, not stiff and rigid like the ones he learned at school, these were more graceful and emphasized the need for balance. Tarek used all the money he had to buy the scroll, and secretly began teaching himself the forms. 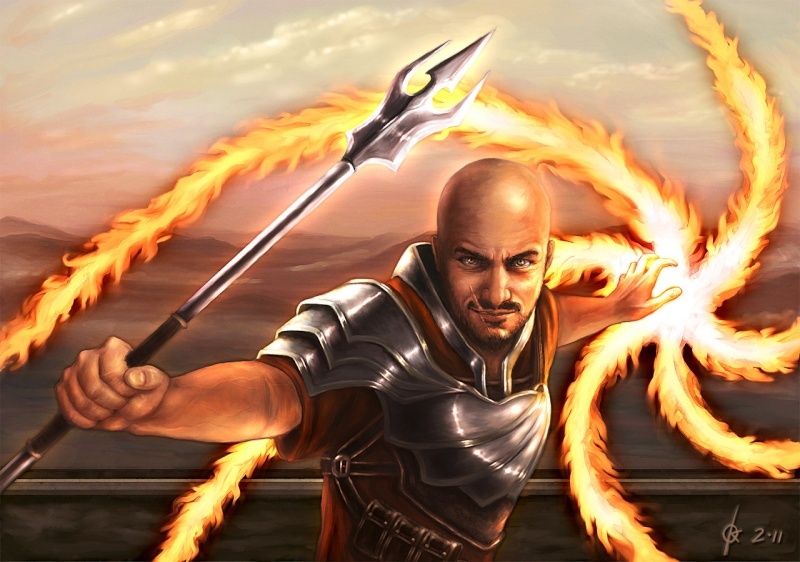 Although he wasn't perfect at first, Tarek's firebending became considerably more powerful. Much to the disappointment of his teachers who frowned upon his outdated technique. Tarek adapted the form into his own (as the scroll only taught a couple of moves), and developed greater skills. Over the years he has found many more ancient scrolls on firebending techniques and philosophies and has merged them into what is his style today. When Tarek was 18 years old he made a surprising discovery as he was practicing his bending, as he was doing a series of graceful movements, sparks started to form around him and suddenly a burst of lighting flowed out of his fingers and into the sky. He had reached balance within himself and could guide energy through his body. Firebending: Tarek has developed his own specialized Firebending technique, adapted and modified from the rare tomes and scrolls he has amassed during his life. His technique does not only incorporate ancient firebending forms and techniques, but also those of the other three bending diciplines. This makes his firebending formidable and unorthodox, and he often uses techniques that earth, water and air benders would recognize when he firebends. His philosophy of fire bending has also developed over time, and through balance and years of special meditation and training, he has learned to manipulate his own chi-energy using breath control and through physical movements that help open his chi paths. 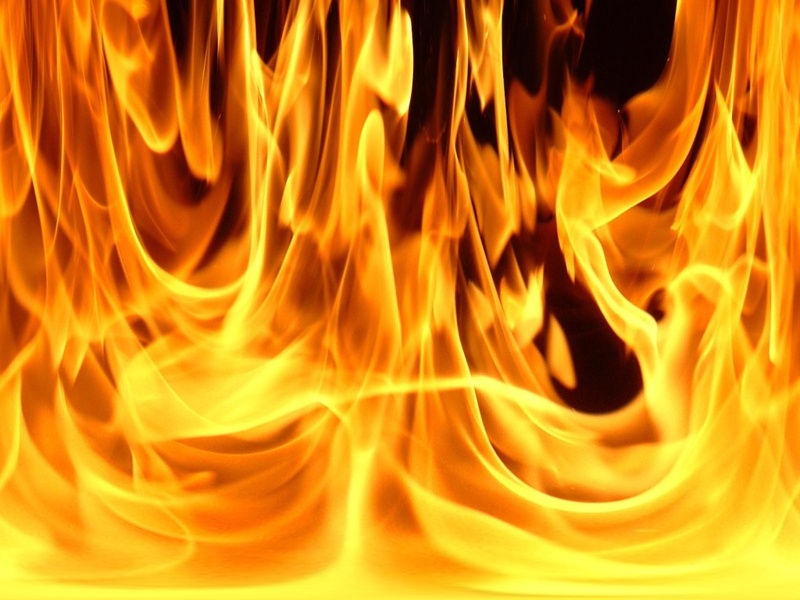 This makes his fire bending unnaturally powerful and gives him a great deal of control over his flames. 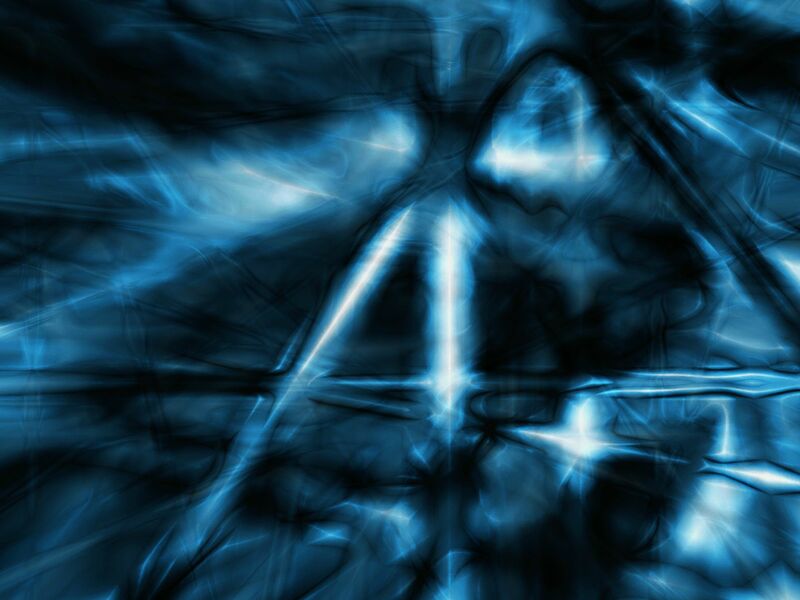 Energy-sense and manipulation: Tarek’s knowledge of chi-energy has also enabled him to be able to sense it. When he focuses he can feel slight ripples of energy created by people around him, and can sometimes even tell if a person is a powerful bender or not. Physical contact allows him to sense the energy much easier, and he has been known to use this to help others open their chi paths, by manipulating and guiding there chi through their bodies. Physical contact, usually with the stomach or forehead, can also sometimes allow him to sense if a person is sick, dying or even if a woman is pregnant. His knowledge of chi has also allowed him to master the art of blocking it in combat. Lightning generation: Tarek learned early on that balance, was the key to firebending. This has allowed him to use lightning to great effect. Learning to manipulate his own energy through being balanced greatly increased his abilities to generate very powerful bolts of bright blue lightning. He has also learned how to redirect it. Tarek’s lightning is very powerful, almost at unnatural levels because of his mastery of his emotions. Heat Sense: When Tarek married Sanaki Zelgius, she taught him her heat sense technique. He is nowhere near as keen as her though and he still has to perfect it. However he uses it often in fights and it has saved his life a few times. No one but his family knows he can use this extra sense, giving him a great advantage during fights. Chi-Blocking: During one of his adventures, Tarek met a mercenary and chi-blocker by the name of Hakota-Zai. The two men got along quite well and a few years later Tarek went out in search of Zai to learn Chi-Blocking from him. Tarek learned very quickly as he already knew a great deal about Chi energy and how it worked and flowed through the body. All Zai really showed him was how to block it through physical contact. Close-Quarters: Because he travels so much, Tarek has adopted the spear as his weapon as it doubles as a walking stick. He has trained in spear combat, and is a master of its techniques though he doesn’t use it much in a fight. His hand to hand fighting is different story, he is quick, precise and agile and although he isn’t the strongest man around, he has knowledge and mastery of many rare and ancient martial art techniques and uses them effectively. His style is more evasive and defensive though, and he prefers it over aggression. (264) Tarek is tall and not exceptionally muscular. But he is very fit, and his build is athletic. His physical strength is average for a Fire Nation citizen. He keeps his head shaved, and has a very short but full brown beard. His eyes are grey and turn slightly orange/red when he firebends, which occurs due his powerful firebending and control of his own chi-energy. He has rough skin as a result of all the changing weather and harsh environments he has been exposed to during his years of travels. He has a small scar running across the right side of his face starting from under his right eye down across his mouth until his chin. His face is kind and warm, and he is often seen smiling. He wears an old, red traveling tunic with short sleeves. Across his chest he wears a single, light piece of plate armor and a plate shoulder guard on his right side only. He wears plain brown traveling pants that are easy to move in and leather boots. He also has many leather pouches of various shapes and sizes, strapped to his person and a backpack for storing any interesting finds he might pick up on his travels as well as his equipment for when he travels. Tarek dresses much the same when he isn’t traveling, although he does wear the traditional Fire Nation General uniform when he needs to do something official or attend something formal. Otherwise, his casual wear is the same easy-to-move in traveling clothes, minus the plate armor strapped to his chest and shoulder. Tarek always carries his spear, which doubles as a walking stick. It is completely made of metal and its tip is shaped like a small trident. He also carries equipment to aid him in his exploration like maps, compasses and chalk and parchment amongst other things of a similar nature. Tarek Raiden was born on a secluded farm in the Fire Nation to Turok and Syrena Raiden. Turok was a firebender who served in the military for many years until he eventually retired and settled down with his wife Syrena, a non-bender also from the firenation. Turok realized early on that Tarek was a firebender and began teaching him what he knew from a very young age. Being born in the Firenation, Tarek attended school where he was also taught firebending, his skills were lower than average and his teachers always told him he didn't have the right personality for a firebender. Instead of worrying about his less than average firebending skills, Tarek put all his attention into learning and he especially enjoyed history class. He always imagined himself being in those faraway places he learned about. Turok, who served in the military his whole life, didn't want his son to follow in his stead and join the military if he didn’t want to and so he encouraged Tarek's love of the past and taught him to avoid conflict instead of going to look for it. When Tarek was about 12, he went to a market with his family and he saw an old firebending scroll on display in an out of the way store. Tarek used all the money he had and a little more that his father sponsored and bought the scroll. Soon, Tarek had memorized all of the forms and practised them every day at home. They were very different from the ones Tarek had been learning in school and from his father. They weren’t as stiff and rigid, but were more graceful and fluid. Tarek felt that his bending grew much more powerful when using this technique. He soon realized that there was so much more to the world then what he learned at school and his love for the ancient ways were kindled. Tarek spent his teenage years practicing a new style of firebending based on the old scroll. He adapted many of the forms into new techniques that he made up himself and advanced in skill very quickly. His teachers, of course, were not impressed with his strange and unorthodox style. The scroll he had found as a boy, spoke of balance, life and peace and that one could be enlightened by the pursuit of knowledge and meditation. This became Tarek's dream, to be enlightened, perfectly balanced with the universe. He would meditate for hours and scour the markets for any rare artifacts or tomes. When Tarek turned 20 he left home and took a boat to the earth kingdom, where he planned to explore the great wilds. His first venture was successful and he uncovered a trove of artifacts and forgotten treasures. He was so excited about his find that he could hardly wait to get back to Omashu to sell and trade some of his items after he had documented them. On his way back a group of mercenaries approached him and offered to let him travel with them, an offer which he gladly accepted, mainly because he missed the company of people. As soon as he had let his guard down, the mercenaries attacked him all at once. He managed to get out one fire-powered kick into one of the bandits faces. The bandit fell to floor, unconscious and badly burnt, the rest of the bandits, however, quickly overwhelmed Tarek. They were soon filling their pockets with all of his possessions and discussing whether or not they should leave their badly burned colleague to die. They quickly decided that they would rather not share the loot and left him for dead. As they started leaving, Tarek began to feel pure rage growing inside of him, he leapt up and attempted to hit the bandit leader with the biggest fireball he could conjure, but his fireblast hardly got half way to his target. The bandit leader quickly leapt forward towards Tarek, with a dagger clenched backwards in his hand, and with a lighting fast strike, sliced Tarek across the face. Tarek, already confused at the lack of potency in his bending, thrust his hand to his face to stop the bleeding, and fell to the ground. The bandit leader just laughed as he walked off with his men and left Tarek humiliated on the ground. With nothing else he could do, Tarek got up, and salvaged the unconscious bandits spear and armor, took a deep breath and continued on his way. Tarek eventually came to realize that his firebending was based on balance and peace, and that strong negative emotions adversely affected his bending. Tarek became an explorer, a seeker of mysterious and ancient secrets. He makes his living by selling rare artifacts he finds. Tarek has had many adventures and has discovered many ancient treasures, and he continues to travel the world in pursuit of knowledge and wisdom with the main goal being, to reach enlightenment. After a few years of travelling the world; learning as much as he could learn, Tarek returned to the Fire Nation and was approached by Novai, who had staged a coup and taken the throne from Fire Lord Shula. Novai wanted Tarek’s skill and knowledge for his cause, but Tarek declined and went into hiding. He was opposed to Novai’s insane militarization of the Fire Nation and the war he was planning on bringing to the world. He went to Shu Jing, where he met Fire Lord Shula on a chance encounter. He agreed to join the underground, a group of Fire Nation citizens that defied the rule of Novai and were led by Shula. Tarek formed a deep respect for Shula, and soon he was made her Chief Strategist and one of her Chief Advisors, as well as a General. During his time in the palace, he also formed a strong friendship with the Fire Nation Spymaster Kako Anthropos. During a break to Ember Island, Tarek met Sanaki Zelgius, a blind firebender and noblewoman, who he instantly fell for. They met, fell in love, and soon after were happily married. Everything else in his life was eclipse by Sanaki and his family from that day on. He loved them dearly, more and more each passing day. When Katsuo and Kaede were both six years old, they were kidnapped by a man named Raikou, the first leader of the notorious Zero Squad, who defected and became a terrorist. Tarek and Sanaki quickly set out to find their children and eventually they did. The whole family was reunited, though the Raidens gained a new enemy that day in the form of Raikou. Tarek had been friends with earthbending master and instructor Naseru, for a long time. He had seen Naseru’s adopted daughter Kozue go from adorable little kid, to beautiful young woman. As she grew, Naseru thought it best that she grow up with a family of firebenders like herself. Soon after, she was adopted by Tarek and Sanaki, and made a bona fide member of the family. Of course Naseru still visits her regularly. After the disappearance of Fire Lord Shula and Kako Anthropos, Tarek took the leadership of the Fire Nation which was now plunged into chaos and became the Fire Lord. He was giving the Avatar’s blessing and was deemed worthy by Ran and Shaw, the great dragons, who taught him many ancient secrets about firebending and of the spirit world. His mastery over fire and wisdom concerning chi and the spirit world became legendary and second to none. Tarek’s ideals, power and wisdom made him a candidate to become a part of The Order of The White Lotus at a young age. The Order of the White Lotus was an ancient and formerly secret society that transcended the boundaries of the four nations, seeking philosophy, beauty, and truth. They were devoted to the sharing of ancient knowledge across national and political divides. It was formed centuries earlier by the wisest scholars from all over the world. The Order began as a club where these ancient masters could challenge one another on the Pai Sho table. They derived their name from the white lotus tile used in Pai Sho, a key element in their strategy. They communicate membership through the game by placing Pai Sho tiles on the board in a specific manner, forming a bloomed lotus bud with the lotus chip in the center. Tarek was contacted by the group in his twenties and trained with great masters and studied under wise philosophers. In time Tarek’s passion for harmony, peace and wisdom and dedication to the pursuit of knowledge granted him a place as a Grandmaster of the Order. Tarek now lives in the Fire Nation Royal Palace, in the Capital city of the Fire Nation. Tarek took a deep breath as squeezed through a tiny opening in a ruined Earth Kingdom wall. The small town he was in was long abandoned, but was once used as a stop-over location for travellers making their way to Ba Sing Se. As was his habit, Tarek made his way to the largest and most well preserved building to start his search for anything of value. Tarek concluded, as he walked into a massive old ruin, that the building must have been the town’s post office. The room was completely empty except for a few broken shelves and desks, anything of value appeared to have already been looted or scavenged. Tarek was determined not to give up though; he was determined to at least find one item of value. After all, this was where many ancient Earth Kingdom documents came through on their way to the great Ba Sing Se. Tarek stepped forward to investigate further when he felt the wooden floor beneath became hollow. “What’s this?” he thought to himself as he stooped down to get a closer look. “There must be a hidden basement down there,” he said out loud as if talking to another person, “let’s have a look.” He twirled his spear around and wedged the end into a gap between two of the floorboards. He then reached for the other end of the spear and pulled. The floor boards pulled apart leaving a small opening through which he was able to squeeze into. Tarek fell into a dark and stuffy room. He made a quick hand gesture and a small burst of flame erupted from his palm, providing Tarek with some much needed light. The room was full of parchments and scrolls. Some were letters, others were maps, and some were very official Earth Kingdom documents. There were even a few earthbending scrolls among them. Tarek was overjoyed with his find and grabbed as much as he could. He carefully rolled them up and placed them in his pack. Suddenly he stopped as he caught a glimpse of a large map mounted on the wall. Tarek brought his flame closer and squinted to get a good look. The map was extraordinarily well drawn and exceedingly well detailed, except for one thing, Ba Sing Se was missing. This greatly confused Tarek, who was squinting even more and adding a little extra juice to his flame for some more light. The map clearly said “Ba Sing Se” in large symbols, but there were no walls and no buildings, like on all the other maps he has seen in the past. Tarek stepped back and stood perfectly still for a moment, as if he was in deep thought. Before long he snapped himself out of his trance, grabbed the map and the last of the documents and made his way out. Tarek had finally arrived in the great city of Ba Sing Se. He had always wanted to visit the city, especially the famous Ba Sing Se University, but he was always far out in forgotten places and seldom travelled to any of the great cities. This time however, he arrived with a purpose. His find in the old Earth Kingdom town prompted him to investigate the city of Ba Sing Se. He made some interesting discoveries; chief of these being that Ba Sing Se was once a massive underground city, and that long ago the great walled city of Ba Sing Se was built over the massive underground labyrinth, now known as the Crystal Catacombs. The existence of the Crystal Catacombs is hardly common knowledge to the general population of Ba Sing Se, and very few outsiders are aware of the ancient tunnels. Tarek knew that even those few who know of the Catacombs, rarely venture into them for fear of getting lost or running into one of the criminal groups who have been rumoured to use the tunnels as an escape route from the authorities. Tarek firmly gripped the rolled up parchment in his hand, it was a map of the Catacombs. Until now no one really knew exactly how large or how deep the tunnel network went, and no one had a detailed map of the entire underground city. But Tarek had found one, buried beneath the old abandoned town. It was possibly one of the last in existence, or at least Tarek liked to think so. Tarek smiled and began to whistle a medley of Earth Kingdom tunes while he made his way through the winding streets of the cities lower ring. He had only one thing on his mind, enter the Catacombs and see what mysteries lie within. He knew however, that he couldn’t go alone; He would need at the very least a powerful earthbender. He going into the tunnels without one would be suicide. The streets were bustling with activity around the gate where the lower ring and middle ring met. Tarek stopped his whistling for a moment when his eyes caught a glimpse of a young boy with torn clothes and scabby knees who was sitting quietly on a bench. “Flamio Hotman!” exclaimed Tarek as he gave a small bow to greet the youngster. The boy laughed at Tarek’s silly greeting as he bowed and returned the same greeting. Tarek gave a hearty laugh at the boy’s enthusiasm and with a quick movement and a little slight of hand, he seemingly pulled a gold piece out of the boy’s ear. The boy looked up at Tarek with wide eyes filled with amazement. Tarek smiled as he flicked the coin in the air. “Think you can help me out?” he asked the boy. “Sure Mister!” the boy exclaimed. The boy excitedly took the money. “Thank you Mister, Thank You! I will hang the fliers better than anyone just you watch!” he exclaimed as he bounded through the narrow streets. Tarek looked on for a second and returned to his whistling. Explorer in need of a group, especially earthbenders, to accompany him into the Crystal Catacombs, anyone who can pull their own weight is welcome to join. Weapons and equipment will not be provided, so be sure to come prepared. Any gold, silver, gems, artifacts, weapons armour or other objects of value will be split evenly with the group, but any scrolls, tomes or documents that are found will be donated to the Ba Sing Se University. Apply to Tarek Raiden at the Ba Sing University. By typing your Forum name below, you acknowledge that your Master-Tier Character requires a considerable degree of activity(to be judged by our staff), and that you are subject to removal from your position of your Master-Tier Character if site staff unanimously decide you are not fulfilling this required level of activity in an undue respect. This judgement will also apply if abuse of this position occurs, whether in or out of character (IC or OOC). "I may be short, but I can give you the whooping of a lifetime." Location : Houston, TX. U.S.A.
Edited for format. Please add a hair color even if he is bald. You may specify that he's shaved bald in the hair field if you wish. I APPROVE. I approve as an expert or master firebender, whichever the sorting admin feels is appropriate. Welcome to NC! I would say he is a master firebender or at least he has mastered his own technique, I think he is old enough and that he has gathered enough experience and knowledge over the years to be a master though. Perfectly executed. I will gladly Approve of your awesome application, Tarek. You've earned your place as a Master. My only disagreement is that you excluded the section requesting why you deserve the positions given, but since you've already been approved before this update, I see no problem with that. Two more approvals and your update is valid, Tarek. Two approvals should be enough. Have fun with your updated app. I need a Sanaki seal of approval. "I'm the best dang fighter in the whole world and there's nothin' you wimps can do about it!"